I don’t know what it is, if it is from my childhood ritual of writing New Year’s Resolutions or something else but the coming of a new year always gives me so much hope and wonder. Each year I always feel this magnetic energy to create lists. Yes, I said it…lists. Every year I find myself tweaking the approach. Sometimes it’s more philosophical and others more concrete goals to achieve. This year, as New Years is approaching that I find that I am writing separate lists. One for my health goals, one for my business goal, spiritual goals and one catchall that are just things I always wanted to achieve in my lifetime. I also notice that now there are even ways to integrate technology even more in our goal-keeping process. In 2011, I signed up with Goodreads online and last year I set a reading goal. 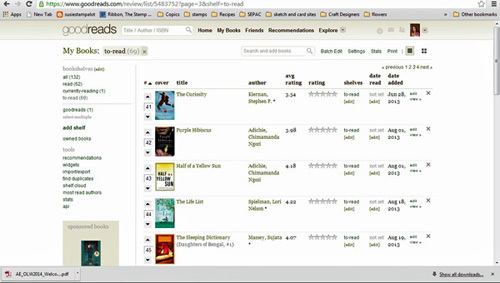 It allows you to keep track of the books you have read, want to read and currently reading. It then subtracts the books that you read from your goal when you update your progress and tells you how close you are to you goal. I will be doing it again this year adding a few more books to my reading goal. The other cool thing about this app is that you can use it on your laptop, ipad or iphone. So I can be in the book store and add books while I browse to my ‘To Read’ list. I also like that they have an online community too and you can find great reviews for books. Which I find priceless when I am considering a new purchase. It even has online book clubs. I joined a few and it’s fun to interact with other bookworms. 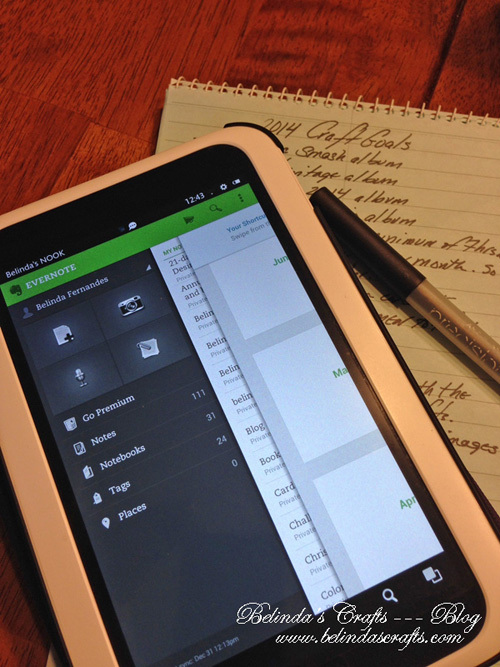 Evernote is another favorite that I have been using for years. I first installed it on my laptop and it is like having a big Notebook to store all of your ideas, notes, documents and it even has a feature called webclips that allows you to visually bookmark a web page for future reference. 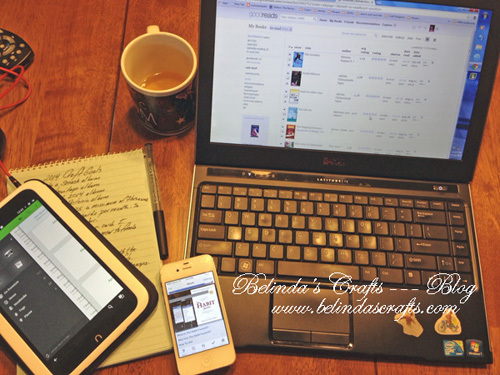 I use it to store a lot of my business ideas, and lists of birthdays, blog ideas, challenge information and even annual goals. I use the check mark feature that automatically inserts check boxes in front of each list item and then I can come check off items as I complete/achieve them. Another great thing is that this application syncs across platforms. So I have it installed on my iPhone for easy entry and updates on the go. 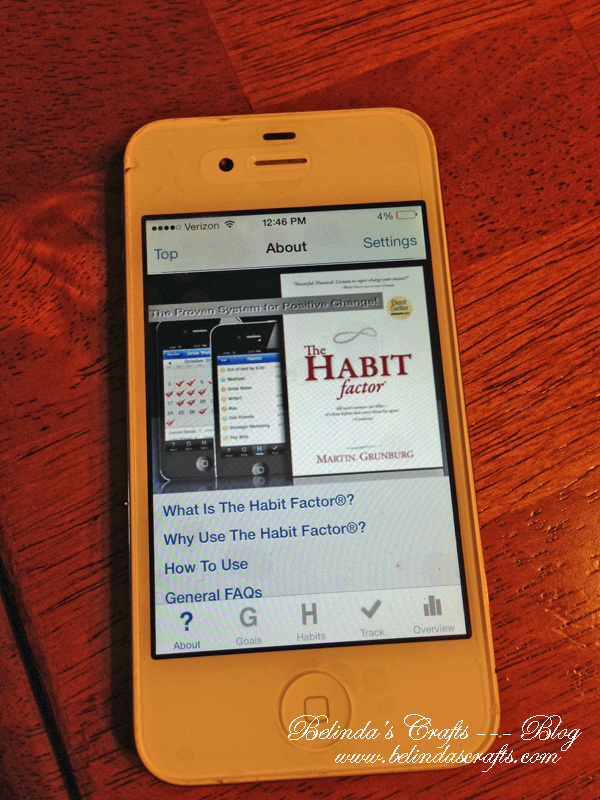 The Habit Factor is a new app I installed on my iPhone and allows you to create and refine your habits. 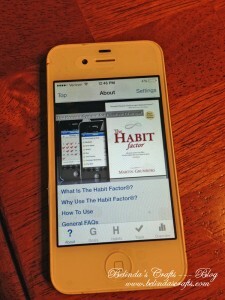 It is designed to help you create new habits and achieve goals. I believe it is based off the principles of a book of the same name. I have not used it yet but might find use for it to help me with my health goals this year. Now don’t be fooled by this list, I still love my good old-fashioned paper and pen as you could see in my photo. I am a list lover. I don’t think paper will completely go out of style for me. Have a happy new year and if you have time, let me know if you make goals for the new year and how do you keep track of them? Next PostDownton Abbey is back!! Thank you for sharing those apps. I am going to check out evernote now. And thank you for mentioning birthdays which reminded me to text my friend Happy Birthday today. I look forward to many great posts in the new year.